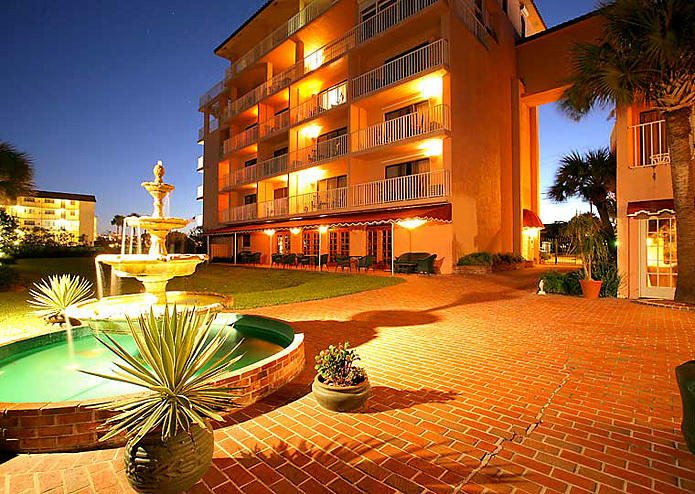 Encompassed in an atmosphere of peace and tranquility, The Inn at Cocoa Beach offers the finest in oceanfront comfort. A European-styled hotel with individually decorated rooms and large oceanfront balconies. Enjoy a fresh-baked breakfast every morning, and Wine & Cheese Social every evening. "A touch of boutique Mediterranean style amid redundant hotel chains"
Directly On the Beach at Rt. 520 and Ocean Beach Blvd.